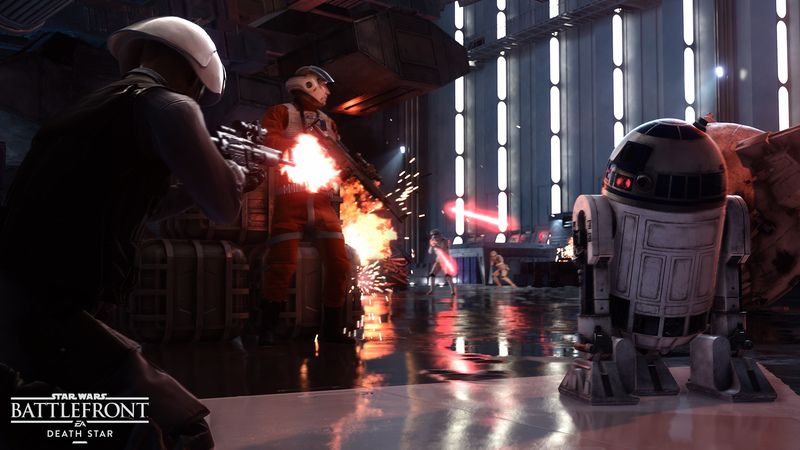 It’s been an incredible year for Star Wars™ Battlefront™. The game has evolved in ways we never thought possible, and the community has exceeded our wildest dreams with their creativity and passion. From cinematic still frames to hilarious comedy shorts, there's no limit to the creativity of the Star Wars™ fan base, and we've had a blast looking at all of the content created over the last year with Battlefront. 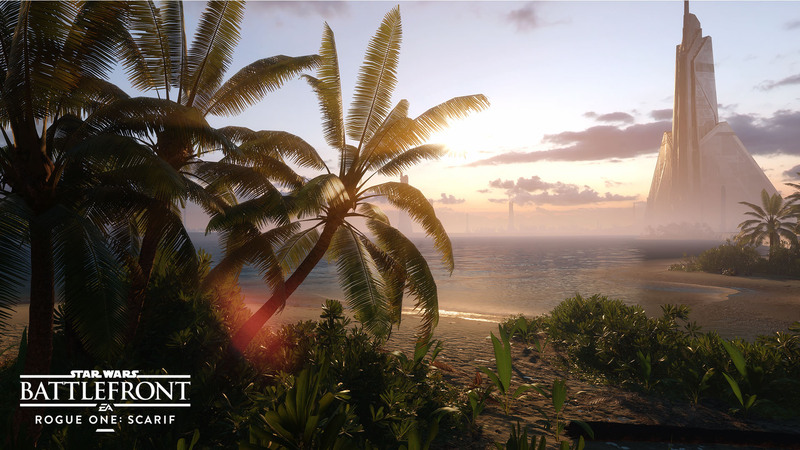 We’re happy to finally announce new details on Star Wars™ Battlefront™ Rogue One: Scarif*, which arrives for all Season Pass owners on December 6. The fourth and final digital expansion pack gives you access to new content inspired by the upcoming film Rogue One™: A Star Wars™ Story, arriving in theaters on December 16. Also arriving on December 6 is the Star Wars™ Battlefront™ Rogue One: X-Wing VR Mission for PlayStation VR. This free** DLC gives you control of your very own X-wing in fully immersive virtual reality – brush up on your piloting skills, stay on target, and prepare to jump through hyperspace as you carry out an important mission for the Rebellion. The battlefront has evolved over the last year with tons of new content updates that allow fans to play Star Wars battles only previously available in their imagination. Nien Nunb can have a showdown against Dengar on the sandy dunes of Jakku. Chewbacca and Lando Calrissian can team up to take down Greedo and Bossk in the halls of Jabba's palace. Players can take control of the loveable R2-D2, rolling through hallways of blaster fire while shutting down the enemy with his trusty fire extinguisher. Star Wars Battlefront has become an epic Star Wars sandbox, giving players the chance to battle throughout the galaxy like never before. To kick off the anniversary celebrations, we have new in-game activities starting today, November 17. If you're looking to check out Outer Rim, Bespin, or Death Star, you can play the maps and modes from all three expansions for free*** until November 20 – and all players will earn quadruple score all weekend long. There's never been a better time to jump into the game with the Star Wars™ Battlefront™ Ultimate Edition. 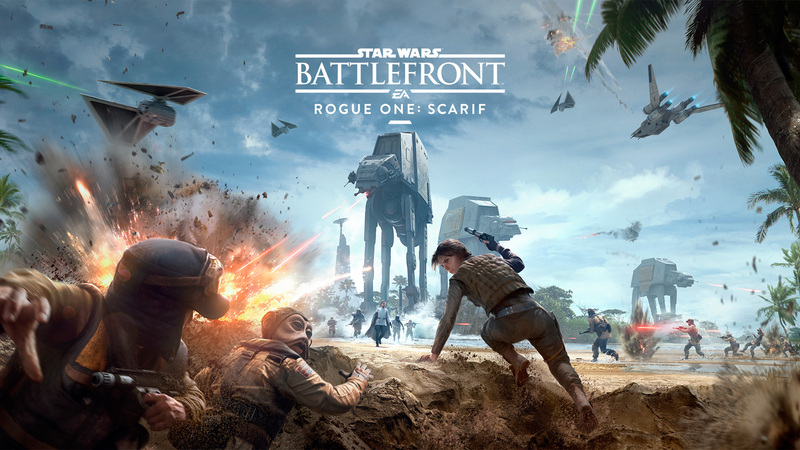 This special edition includes Star Wars™ Battlefront™ and Season Pass, which includes the four full expansion packs with amazing content we’ve added from all over the Star Wars galaxy, including Star Wars Battlefront Rogue One: Scarif and the PlayStation VR mission when they release on December 6****. Thanks for helping us make this first year an incredibly memorable one for Star Wars™ Battlefront™. Your support, feedback, and participation have meant a lot to all of us, and we wouldn't be where we are today without our amazing fans. There are quite a few things to look forward to, so come celebrate with us and get ready for more exciting updates and events, in-game and out. **Requires Star Wars™ Battlefront™ for PS4™, PlayStation VR and PlayStation Camera, all sold separately. ***Star Wars Battlefront for applicable platform (sold separately), internet connection, EA account, and for console players, an Xbox Live Gold or PlayStation Plus account (both sold separately) required. ****ROGUE ONE: SCARIF EXPANSION PACK WILL BE AVAILABLE ON THE PLAYSTATION STORE/XBOX MARKETPLAY/ORIGIN STORE STARTING DECEMBER 6, 2016.